While some supposedly legitimate comic book online news outlets have been covering a glitch in Amazon sales like it’s actual news (it’s not), I’ve been busy spending my money wisely. 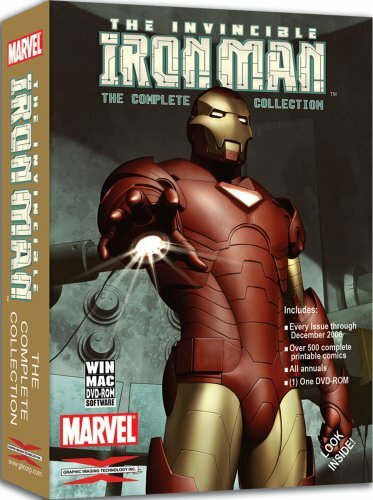 See, I just purchased something called The Invincible Iron Man: The Complete Series, a DVD with 40 years worth of Iron Man comics in one place for about $50, the last of my birthday money. Marvel and a company called GIT teamed up a few years back to put out a series of DVDs featuring high resolution scans of their comics, including the ads and letter columns, basically everything that was between the covers. Discs like this boast 40 years of comics all on one disc for you to read in PDF format on your computer, whether you have a PC or a Mac. I haven’t actually gotten the Iron Man disc yet, but I do have an Avengers one, so I can get into specifics on that. It’s got every issue from the very first up until the first volume ended with Onslaught, then the Heroes Reborn series (including #13, which hasn’t been reprinted anywhere else as far as I know) and then all of the third volume of Avengers and the first 12 issues of New Avengers. Basically, everything up to 2005’s New Avengers #12, plus all the annuals. That’s a hell of a lot of comics. Hundreds even. And it takes up almost no space. In fact, the disc takes up so little space that I lost it for a while until unearthing it today. Sure, it’s missing the last five years of comics, but paying $50 for something like this is a much better value than any omnibus. Even though the Marvel license with GIT seems to have run out, they’re still putting out discs with archives of Archie and Star Trek comics along with MAD and National Lampoon magazines, but while they were still in business, Marvel and GIT put out plenty of quality discs, most of which collect 40 years of comics. You’ve got Fantastic Four (as well as a later disc with both FF and Silver Surfer comics), Amazing Spider-Man, X-Men, Hulk, Ghost Rider, Ultimate X-Men, Iron Man, Avengers and Captain America. Now, not all of them will cost you $50. Ultimate X-Men is actually pretty cheap, under $10, while Spidey, FF, FF/Silver Surfer, X-Men, Iron Man and Ghost Rider are all $50 and under. I’m guessing it’s because Amazon still has those discs in stock. Meanwhile, Hulk will run you around $130 and Cap $160 on Amazon. I recommend searching around to make sure you can find the cheapest version possible. Check Amazon (that’s what all those links above are) and eBay and maybe Google shopping or any other cool secret search engines you might know about. Heck, you might even be able to find these discs at your local comic or collectible shop. 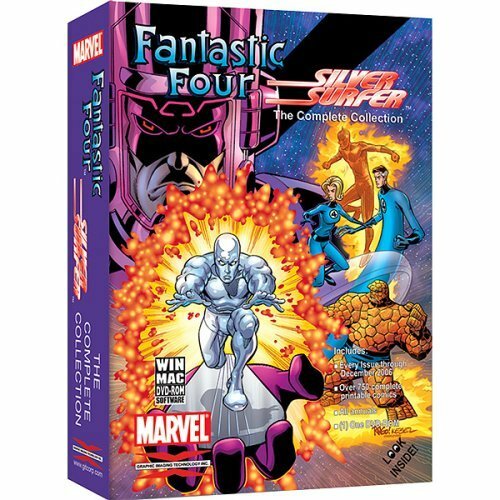 Personally, I’d like to get my hands on the Fantastic Four/Silver Surfer disc, the Hulk one and maybe the Ghost Rider one if I could find it for like $20. I’m not a big fan of what I’ve seen of Stan Lee and Jack Kirby’s Marvel stuff, but I’d love to see Kirby’s FF art and maybe check out Byrne’s run. Plus, I want to read all of Peter David’s epic Hulk run and Ghost Rider has always seemed like a fun character to me. Considering the high cost of the Hulk disc, I don’t see me getting that one anytime soon, but the FF/Silver Surfer and Ghost Rider ones are still affordable enough for me to buy them in the foreseeable future. The problem with these discs is that there are only a certain number of them left, but I really feel like this is the future of comics. Personally I’ve been trying to downsize my collection and have been thinking of getting a lot of my old comics bound to optimize re-readability. Those hold a sentimental value, but I just realized that I don’t need to keep all my Avengers Vol. 3 comics now that I’ve re-found this disc with all those books on there (including the ones I missed and the ones that got damaged when my childhood roof leaked on my comics when I was in college and I got way to upset in from of the future missus). It’s too bad these didn’t take off a few years back otherwise you could probably sign up for a service with a yearly subscription to keep up on the new books. Also, too bad DC didn’t get into a similar kind of deal because I would kill for a Green Lantern, Justice League, Superman or Justice Society discs. Fingers crossed for the future! I got the Spider-Man one and completely agree with your sentiments. Seeing the old material is great, but those old ads are surprisingly awesome, as well. Hey Woody, glad you agree. I forgot to mention the one downside, there is a Marvel watermark across the page that can be distracting at first, but after reading for a while, I hardly noticed it. You may want to try a different PDF reader. I think I remember that issue when I first loaded it but when I opened the files in a different program I didn’t see the watermark anymore. I’ll definitely check that out. I’ve just been using the basic Mac Preview program, but I wonder if they’ll work better using Adobe. Thanks! Not sure if you still maintain this site but I’m a huge fan of this series of discs, as well. I’ve got all of the Marvel ones (that weren’t redundant) and access them on tablets connected to the cloud. It’s fantastic. Have you been able to get any more of them? Let’s see, I’ve got Avengers, Iron Man, Fantastic Four/Silver Surfer and Ghost Rider. 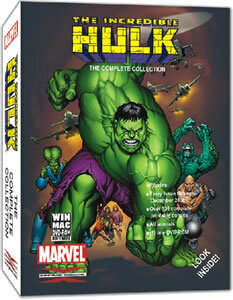 I’d still like to get my hands on the Hulk one and maybe Cap if I can get a good deal on it. I was loading them a few at a time on my Kindle, but it broke a few months ago, so that’s kaput for now. Awesomeness. You’ve been busy! Even being 7-10 years out of date, they were still a great deal. I have no regrets and hope you find the others you want soon. Sorry to resurrect such an old convo but I love talking about this under-appreciated set of gems.. Sorry to hear about your Kindle, though.